North Port, FL Free Treatment Centers, Affordable Rehab Centers. 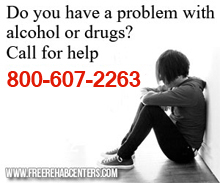 Provides residential substance abuse treatment. ELIGIBILITY:Homeless or on SSI; must participate in therapeutic 12-step program and able to function independently without psychiatric medications. Costs: Sliding Scale.